1. 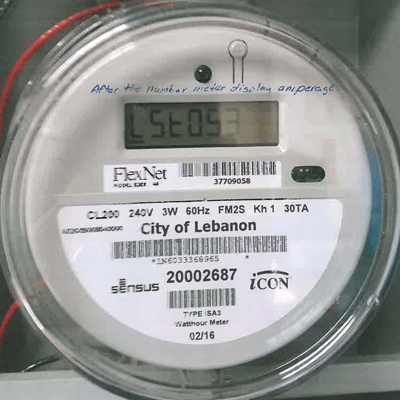 What are the City of Lebanon's inspection fees? Units are inspected one time per year or when a vacancy occurs. The inspection fee is $10 for the first inspection and one follow-up inspection as long as the unit is vacant. If the unit is occupied with anything the inspection fee is $50 and each follow-up inspection is $50 and the owner must be present. Please note that vacant units that require more than one follow up inspection will be assessed $30 for all future inspections. 2. Do I need a permit to build a fence in the City of Lebanon? A fence permit is required, however there are no fees. Contact the Community Development Department for the permit. You may call the Community Development Director Cathy Mustard or the House Inspector Noel Massey at (417) 532-2156. You must call1-800-dig-rite before digging. They will mark all utilities. Fences cannot be locked if the electric meter is at the rear of the house. Utility easements must be made accessible to the utility companies. PLEASE CONTACT BUILDING AND ZONING BEFORE CONSTRUCTING A FENCE. IT IS THE PROPERTY OWNERS RESPONSIBILITY TO MAKE SURE A PERMIT HAS BEEN OBTAINED. 3. Do I need a permit to build a sign in the City of Lebanon? A sign permit is required, however there are no fees. Contact the Community Development Department for the permit. You may call the Community Development Director Cathy Mustard or the House Inspector Noel Massey at (417) 532-2156. You must call1-800-dig-rite before digging. They will mark all utilities. Signs 20 feet and over in height require engineered plans. Signs under 20 feet will require that a sketch of the sign be submitted for approval. The sign must be located on the site plan of the property and submitted for approval of the location. 4. Do I need a permit to build a garage/outbuilding in the City of Lebanon? A garage/outbuilding permit is required. Contact the Community Development Department for the permit. You may call the Community Development Director Cathy Mustard or the House Inspector Noel Massey at (417) 532-2156. Set-backs must conform to the City Ordinances. The general rule is if the building is more than 10 feet from the house the garage or outbuilding can set within 5 feet of the rear and side property line, except it cannot set over any easements. If you have a corner lot the set-back would be greater depending on the zone you live. In a RS-1 zone the street set-back would be 30 feet. In a RS-2 zone the street set-back would be 25 feet. We will be happy to schedule an appointment to come to your house and discuss the location of your project before you make a final decision on location. PLEASE CONTACT BUILDING AND ZONING BEFORE CONSTRUCTING A GARAGE OR OUTBULIDING. IT IS THE PROPERTY OWNERS RESPONSIBILITY TO MAKE SURE A PERMIT HAS BEEN OBTAINED. 5. Do I need a permit to build a pool in the City of Lebanon? A pool permit is required, however there are no fees. Contact the Community Development Department for the permit. You may call the Community Development Director Cathy Mustard or the House Inspector Noel Massey at (417) 532-2156. Pools require an enclosure if it contains water over 24 inches. Openings in the fence shall not permit the passage of a 4-inch diameter sphere. It shall be equipped with self-closing and self-latching gates. Lattice cannot be used for the enclosure. The top of the enclosure must be 48 inches above grade. If you want to use the pool structure as a barrier you must submit a written plan to the City for approval. Not all structures will be approved as the barrier. It must meet the Building Code. A copy can be obtained from the Community Development office. PLEASE CONTACT BUILDING AND ZONING BEFORE CONSTRUCTING A POOL. IT IS THE PROPERTY OWNERS RESPONSIBILITY TO MAKE SURE A PERMIT HAS BEEN OBTAINED. 1. 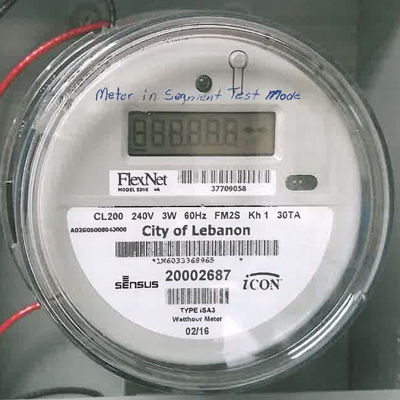 Your new meter will display 88888 to signify it is in segment test mode. 2. 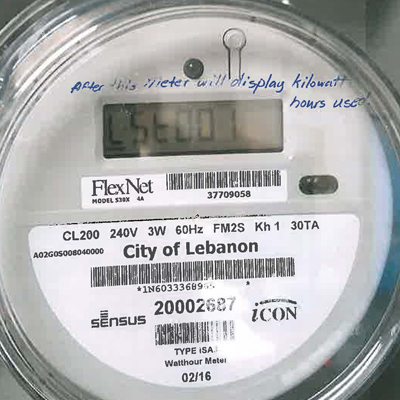 The display will read LSE001 followed by a 5-digit number and the letters kwh, this is the kilowatt hours used. 3. The display will read LSE043 followed by a number between 210 and 218. This number is the voltage at the meter. 4. The display will read LSE053 followed by a number between zero and 200. 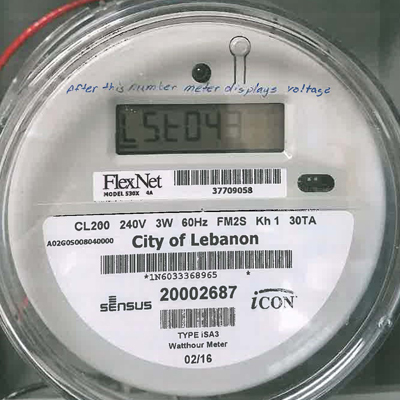 This number is the amperage at the meter. 1. How can I find if my activity has been canceled? Call the cancellation information line at (417) 532-6309. 2. How do I reserve the Mill's and Wallace facilities? To rent the Mills Center or the Wallace Building call the Civic Center at (417) 532-4642. 3. How can I find out about Park Board meetings? The Park Board meets the 2nd Wednesday of every month. Meetings are at 12:00 pm, and generally are at the Winfrey Memorial Acres House in one of the meeting rooms. 1. When are the City streets swept? Streets within City limits are swept each spring and fall. Also streets in all wards are swept quarterly. The Downtown Business District and any submitted workorders to sweep certain areas are taken care of every Friday. 2. How do I report a street or sign issue? To report a street or sign issue, visit Work Zone . 1. How do I apply for a Parade Permit? Fill out the Parade Application Form. The application includes a map. Please highlight your intended parade route on the map and return it with the form and copy of the ordinance. Also please note: All applications should be submitted 60 days prior to event. If you experience issues viewing the permit PDF please right-click the link and choose "Save Link As..."
2. How do I apply for a Pawn Brokers License? If you experience issues viewing the license PDF please right-click the link and choose "Save Link As..."
3. How do I apply for a Peddler/Solicitor's Identification Card? If you experience issues viewing the application PDF please right-click the link and choose "Save Link As..."
4. How do I apply for a Taxi Cab Driver's Permit or a Taxi Cab Bussiness License? 5. How do I apply for a Transient or Itinerant Merchants/Vendors permit? 1. Where does my drinking water come from? The drinking water comes from seven deep wells located throughout the City. The wells pump water from porous rock formations anywhere from 1,000 to 1,800 feet deep in the ground. We have five elevated storage tanks with a total storage capacity of 3 million gallons. The water is distributed through mains ranging in size between 4" to 12". This water is used for domestic, commercial, industrial, and fire protection purposes. 2. Does the City treat the water to make it safe to drink? The City does not have a water treatment facility for the drinking water, however, the drinking water meets State and Federal safe drinking water standards without any type of treatment. We do add Chlorine to each well site in small amounts to ensure water quality throughout the water system. We also add Fluoride to each well site in amounts that are shown to promote dental health. The Missouri Department of Health Laboratory tests 10 drinking water samples per month from the City of Lebanon for water quality assurance. The City has an excellent record of meeting safe drinking water standards. 3. Who do I contact to report a water / wastewater related problem (leak, low pressure, sewer backup, etc.) or to answer water questions? To report a concern, visit Work Zone or contactLebanon City Hall, located at 400 S. Madison, Monday - Friday 8:00 am - 5:00 pm at (417) 532-2156 or for after hours call the Police Department at (417) 532-3131.